We’ve all been asked the question, “So what do you do for a living?” and we have all jumped right into what we do to make a living. After all, it’s a pretty harmless question and most definitely a conversation starter. “Oh, I sell real estate, I’m an accountant, I stay home with my children, etc., etc.” Have you ever considered for a moment that our “work” is not necessarily reflected in what you do for a job? Let’s take this a little deeper…. For the most part, we all have to work or have had to work at some point in our lives. After all, we need money to support to our families, pay bills, shelter our loved ones, and the list goes on. However, what we do to earn money and provide a roof over our heads isn’t necessarily what our “work” is all about. My decision to get into real estate was partly because I wasn’t able to find a job after graduating from college. It also became clear to me I wanted something with flexibility to incorporate a reflection of myself into my work while also having something performance based; i.e. the more I put into it, the more I got out of it. And, in saying that, I wasn’t referring to the earning potential in this business as making money was never a motivating factor for me then nor is it now. Throughout my life I had been told I had a knack for people. I was always good at remembering people’s names, anniversaries/ birthdays, kids/pet’s names, phone numbers, etc. Those details have always been important to me. I was also given the gift of empathy. My first job after graduating college was as a bodily injury claims adjuster for a well known insurance company. It only took a few months to learn that my “gift” of empathy wasn’t going to serve me (or the insurance company) well. My primary responsibility was to compensate people for their injuries sustained by our clients so when I found myself taking on the struggles and woes of the Claimant as my own and writing checks accordingly, it became crystal clear this wasn’t the career path for me. When I left claims adjusting to try my hand at selling real estate, little did I know the gifts I had would play such a key role in my success as a Realtor. Initially, I was most attracted to the fast pace, competitive nature of selling real estate and the fact that it was most definitely performance based. I was a quick study and had a couple incredible mentors and in a matter of no time, I found myself among the ranks of other top producing Brokers. I am now mid-way through my 18th year. It’s quite interesting to look back over the years and see how some things have changed but even more so, how many things really haven’t. I still love the fast pace and competitive nature of this business and also that it’s still performance based. I also like that this business truly has become a reflection of Dyan and I and our unique personalities. We get to be who we are (broken filters and all). We laugh, we cry, we complain and we celebrate. When things get hard, we dig deep and when challenges are overcome, we rejoice. But, what I love most is realizing that what we “do” for a living really isn’t our work. Yes, our job is to sell houses, but our work is to be loving. The money we make helps us to provide for our families and have a better life but if we start giving up our joy of the better life for the sake of making money or the pursuit of getting things done, we lose the ability to interact on the deepest of levels or truly embrace each day. Think about it. If we get so caught up in the action of doing that we lose sight of the joy we receive during these acts of service, we are missing the boat. Getting to this place of clarity is incredibly refreshing and also a smidge scary at the same time. To resist being sucked into situations that don’t align with our “work” is a constant struggle. Our lives are busy so it’s easy to just go with the flow when in reality, we aren’t really doing any one a service when we do this. Let’s face it, things are different than they were in 1999 when I first got my real estate license. Not just the worldly matters but on a personal level as well. Dyan and I are now wives and we are also mothers and while both are incredible gifts they also bring incredible responsibilities. Having something left to give at the end of each day, when we walk through the doors of our homes is more important than ever. We have been blessed beyond measure to work with some of the most incredible people; people who rely on us for our expertise, respect our abilities in the field of real estate and who truly honor the contributions we make to our community and those around us. We have also experienced our share of the not so desirable and weathered the storms together until we ultimately parted ways. We have easily participated in more than 1000 real estate transactions and can gladly state that the real doozies can be tallied on just our fingers and toes. Not too shabby, if I do say so myself. We have so appreciated the ability to do our “work” among some of the finest in the valley and as we all navigate the swells this crazy market keeps bringing our way, we are hopeful that everyone (buyers, sellers, and Realtors alike) can remind themselves that our work is to be loving. It’s really that simple. Kindness Matters, integrity is invaluable and don’t be a turd. Simple as that. When we choose to work with a client and invest our energy, time and money into them it’s because we want to. It’s because we trust that we have an understanding of commitment, mutual respect and a common goal of achieving the same desired outcome. If this doesn’t align with your idea of how all this is supposed to work, that’s okay too but we ask that you are clear about that. As business owners, we each get to have our own ideas on how to run our business and if you find that we aren’t the right fit, that is perfectly okay. The day of taking on every client just for the sake of doing it or simply because we want to be the solution to everyone’s problems has passed. And while our job is to guide you and assist you while you make life changing decisions, our real work is so much bigger than that. Without question, we feel great honor to be alongside our clients during their different transitions in life; be it divorce, marriage, a new baby, in death, in sickness or in health. Afterall, our work is to be loving and it’s even more important in these times. As two very emphatic people, we immerse ourselves in the middle of these transitions as an act of love and kindness for all of us. When everyone within the circle is equally loving and kind the experience is raw, real and memorable. This is our work and this is why we do what we do. 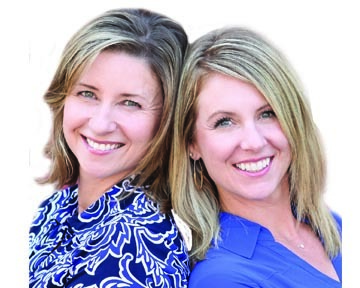 http://ashland.oregon.localsguide.com/wp-content/uploads/2015/02/DeAnna_Family_7.jpg 288 360 DeAnna Sickler & Dyan Lane http://ashland.oregon.localsguide.com/wp-content/uploads/2018/05/logo-1-300x76.png DeAnna Sickler & Dyan Lane2017-06-29 01:17:432017-06-29 08:41:36What Really is our Work?